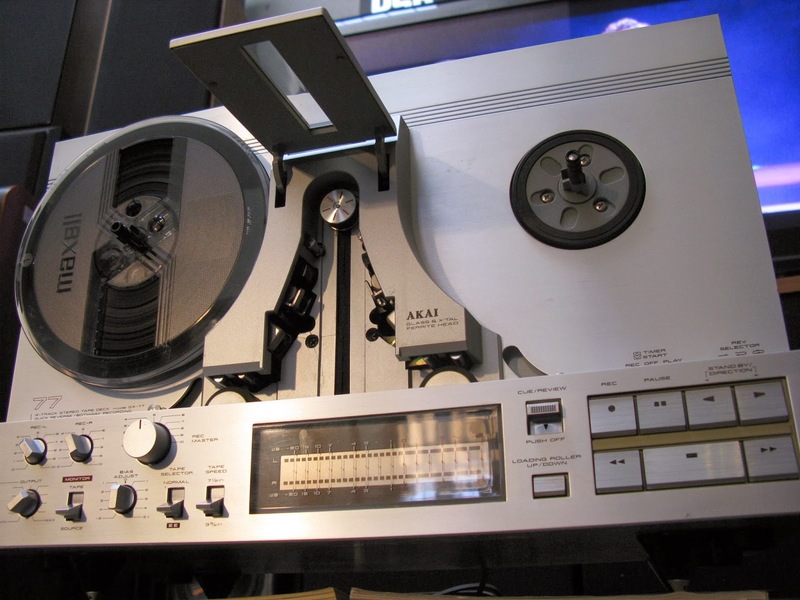 Recycled Stereo Plus: Akai GX-77 Reel to Reel. 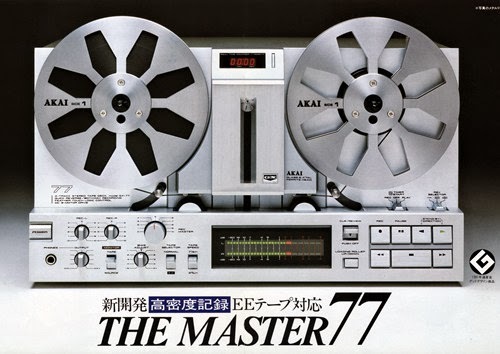 Simply beautiful..
Akai GX-77 Reel to Reel. Simply beautiful.. 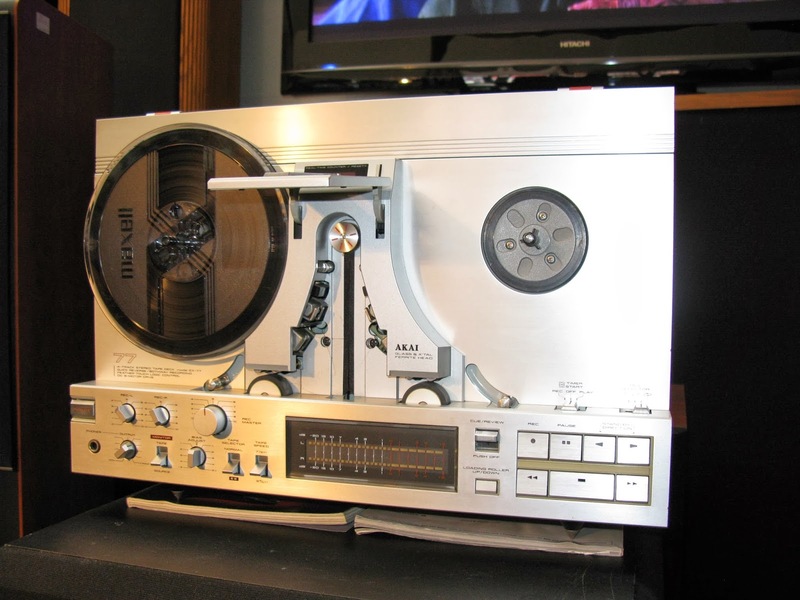 This may be the most beautiful of all the 7" size Reel to Reels. 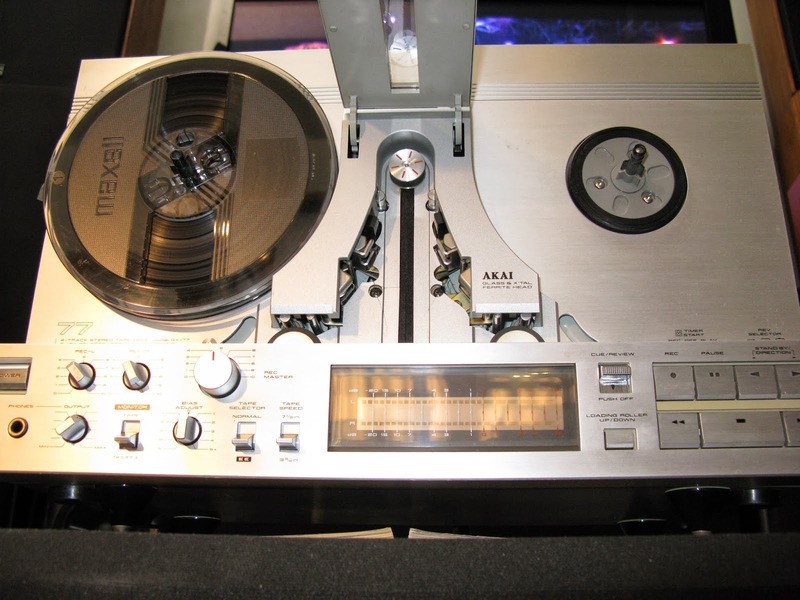 It plays and records extremely well, having had it serviced completely by Santa Cruz Audio. It has been restored to mint condition. It has all of the deluxe features like auto-reverse, and a nice looking dust cover that is built to stay on. 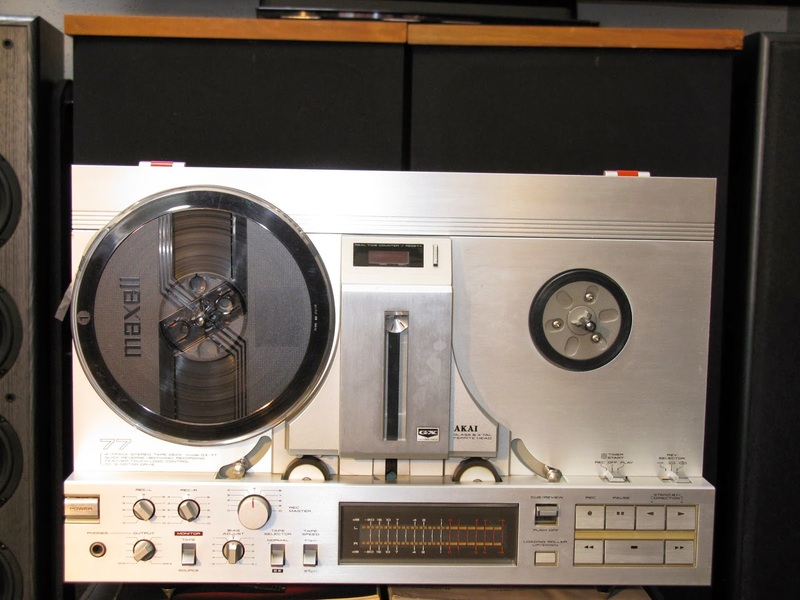 This deck has beautiful sound quality, and is in beautiful shape. The GX-77 is very sophisticated in build and design. 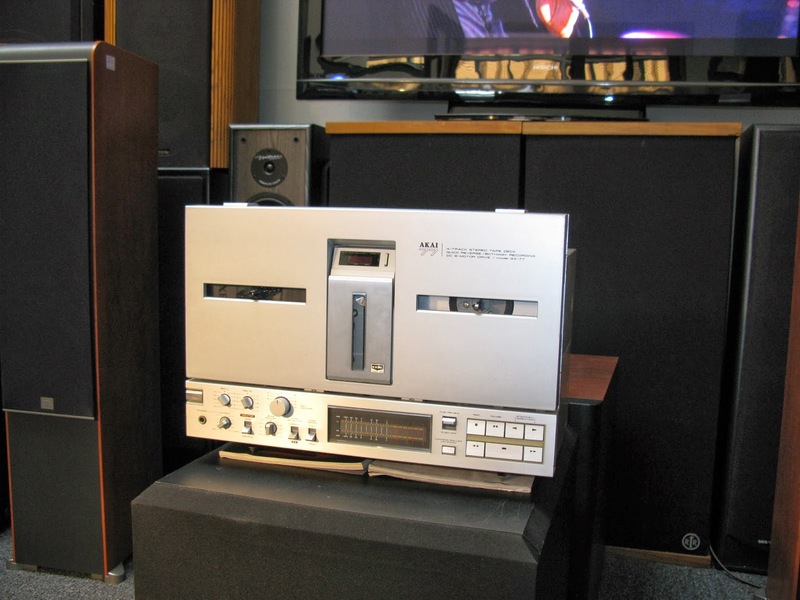 It blows away Teac and Pioneer units in sound quality. 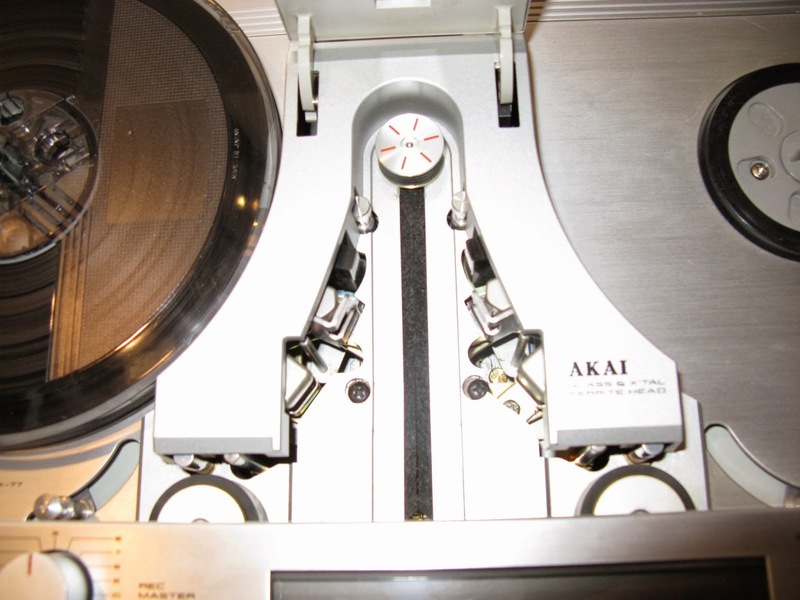 Akai GX-77 7" Reel to Reel Head assembly close up.